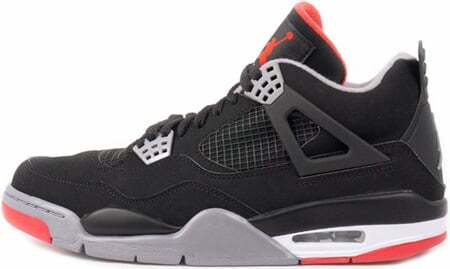 Another Countdown Pack looked forward to is the Air Jordan 4 (IV) Retro Black / Cement Grey – Fire Red Countdown Pack. This particular color-way has not released since 1999, and was a original color scheme in 1989. Although some are disappointed that the Air Jordan 4 (IV) Retro Black / Cement Grey – Fire Red Countdown Pack did not have the Nike Air placed at the heel, many sneaker heads have accepted the Jumpman logo. Retail is $310, and when you purchased you received the Jordan 19.